Where Are the Best Food Museums in the World? A person truly dedicated to food exploration will always plan their holidays around food, designing itineraries focused on breakfast, lunch and dinner. Culinary culture vultures map new cities through coffee shops, bakeries, cafes, restaurants and, in some lucky locations, by visiting fully-fledged food museums. For a multi-faceted gastronomic experience, the Italian region of Parma is a heavy hitter, boasting six specialised food and drink museums under the umbrella of Musei del Cibo (www.museidelcibo.it). Dotted around the city you’ll find the Parmigiano Reggiano museum, a museum of pasta, a tomato museum, a wine museum, a Felino Salame museum and, last but not least, a Parma ham museum. Portami la! For fermentation fans, the Museum Kimchikan in Seoul, South Korea, sounds like a cultured dream. The collection houses ancient books on the history of kimchi and exhibitions that illustrate kimchi trends throughout Korean history. Find out why and how hot peppers became an ingredient for kimchi, and have a look at some live lactobacillus through a microscope on your next trip to Seoul. Japanese food culture calls to food explorers hungry for sushi and ramen adventures. The Shin-Yokohama Ramen Museum is a food court doubling up as a food museum where renowned ramen bars, including Ide Shoten, Shinasobaya, Keyaki, Ryushanhai, Hachiya, Fukuchan, and Komurasaki, serve their fare under one roof. The museum also features a small re-creation of Tokyo in the year 1958. Why that specific year? Because that’s the year instant noodles were invented. For those with a sweeter tooth, the Chocolate Museum in Cologne has been celebrating cacao since the early 1990s. In Taiwan, the Kuo Yuan Ye Museum of Cake and Pastry is located in the Shilin headquarters of a 100-year-old family bakery. Next year, New York City will see the saccharine opening of The Candy Museum by confectionary retailers Sugar Factory. 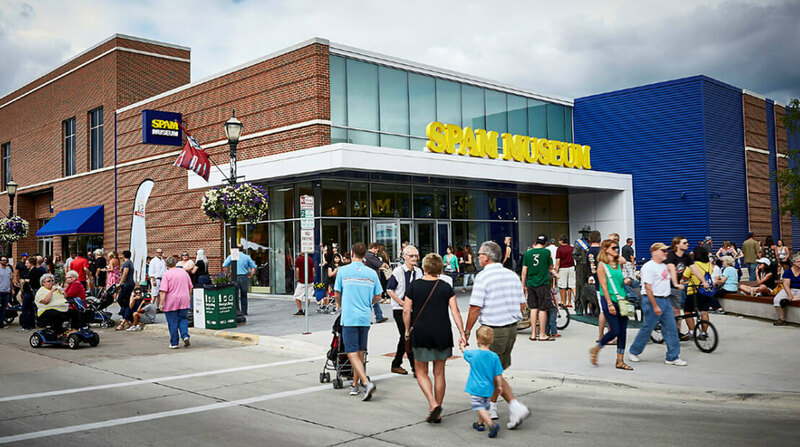 The Spam Museum located in Austin, Minnesota, has to get a special mention. Font nerds will love the use of the iconic spam can’s text on the museum’s website (www.spam.com) and food lovers might be interested in learning about one of processed foods most enduring brands: spam has been on the go since 1937. Much closer to home is the legendary Cork Butter Museum (www.thebuttermuseum.com) in the historic Shandon district of Cork city. Its endearingly quirky collection of vintage butter packaging, bog butter, churns and paddles provides an insight into the history of the city’s butter and dairy trade. Be prepared to have a powerful craving for a thick slice of fluffy white bread slathered in salty butter by the end of the tour.